Susan runs away to escape a forced marriage. She thought evil step-mothers were make believe, but she was wrong. James convinces her to become his betrothed, to throw off an evil pursuer. But when she captures his heart, can he persuade his reluctant bride to say yes? Susan Hamilton was running away determined to escape a forced marriage as her world falls apart. She thought evil step-mothers were only in fairy tales, but she was wrong. 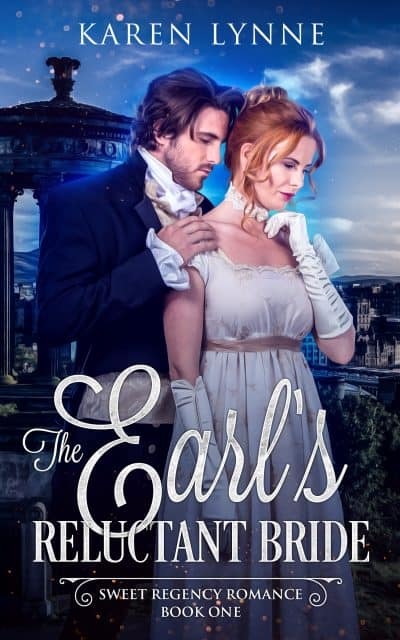 She flees only to fall under the protection of the breathtaking Earl of Malmesbury as he arranges their fake Betrothal. Can she protect her heart as her world spirals out of control? James Balford, returning home after four years fighting for the Regency, where he fled after his first love married another. Vowing to never marry, until he finds Miss. Hamilton stranded on his way home. He convinces her to become his betrothed to throw off her evil pursuer, but when she captures his heart, can he persuade his reluctant bride to say yes?